Hi Everyone! As you know, over Christmas I opened my Etsy shop and put up my homemade Indian style 'Masala Chai' baubles and jars, which was very exciting for me! 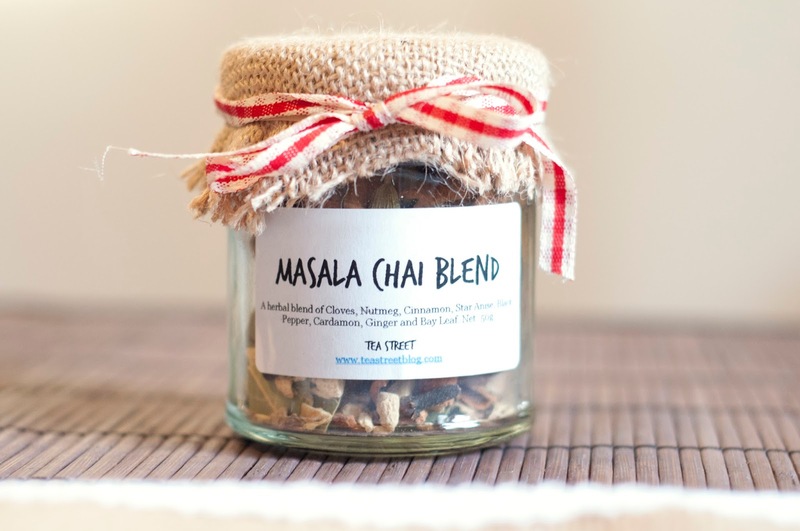 Here's my blog post about my Masala Chai jars and how I make mine. 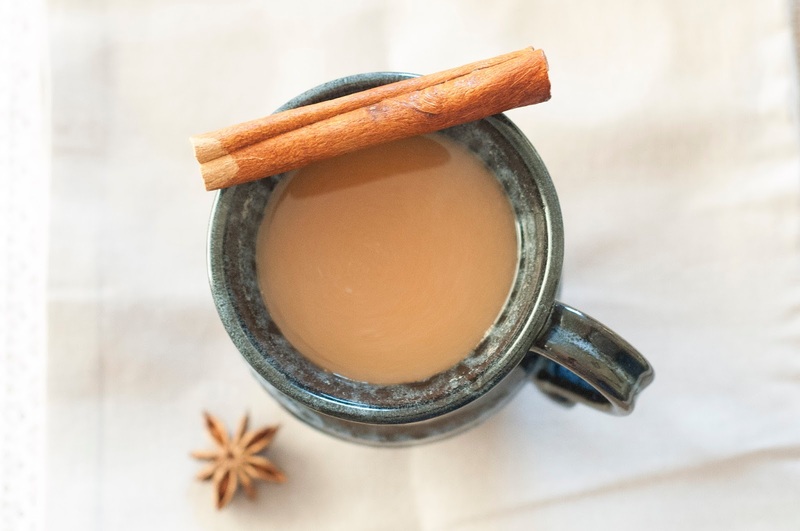 It's a perfect type of tea for this time of year as it contains super spices that are extremely good for you (who didn't indulge this Christmas??) 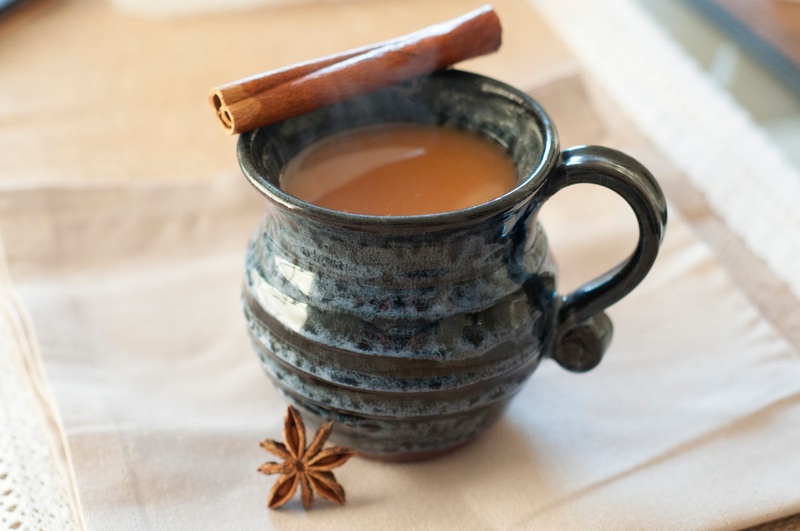 and it's a very comforting, cozy drink for bright but crisp winter days! So below we have the star anise in the centre, which has a licorice taste to it. I tried the brew without it first of all but it really needed this sweet layer to it. We also have cinnamon of course, which is known to be a powerful antioxidant, anti-inflammatory and can stabilize blood sugar levels. 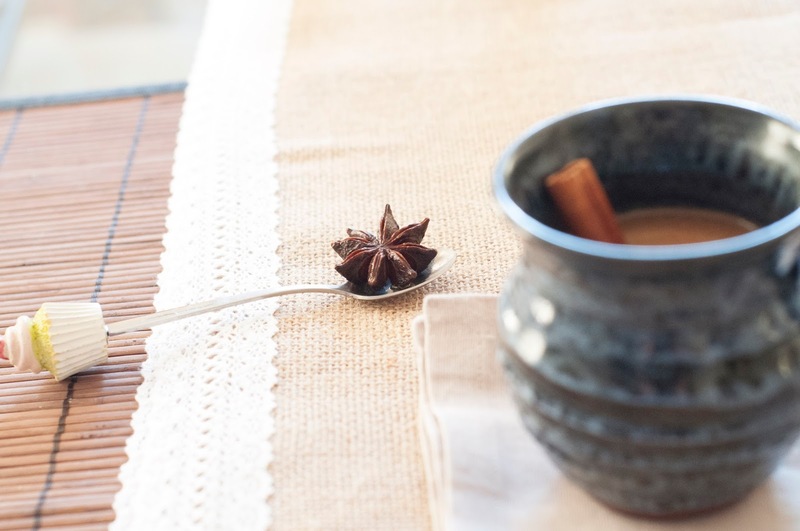 There are also cloves, nutmeg and ginger, which is known to help digestion and prevent nausea. There's also bay leaves, peppercorns and cardamon pods, which is one of my most favourite flavours! Of course, you can make the ingredients up yourself and there are lots of variations, with some people using, say, fennel seeds. However, this can be costly and timely and this is why i've made the jars up for you as then all you need to do it spoon the mixture into your saucepan (each jar contains about three times the amount shown). You can add the ingredients as they are but i'd recommend grinding them up a little in a pestle and mortar first just to release the flavour. Add two cups of water and two cups of milk to your saucepan of lovely spices. I used rice milk this time but it's also nice with soy milk as an alternative to dairy. The ooooonly problem was that the rice milk kept separating grh! Bring to the boil and simmer for five minutes or longer depending on how strong you like it. If you fancy some fun experiments, you can add a strong black tea, and brew for a few minutes. Alternatively you can keep it herbal and add rooibos tea as I have below. However, this isn't essential as the Masala Chai is perfectly lovely without adding anything extra. Sieve the ingredients into a jug and then transfer into mugs/cups, serves 3-4. So now the house smells great and I have a lovely warm brew waiting for me! If you're interested in purchasing my jars through Etsy, then please see my shop here.